Lori Danelle: maker of things: Let the Fall Festivites Begin! Let the Fall Festivites Begin! I don't know when it happened. . . When I became a Mom with kids old enough to know what was going on around them (ie, 1 year old). I don't know about you, but October has become an insanely crazy month in my life! This weekend was the first of it though. 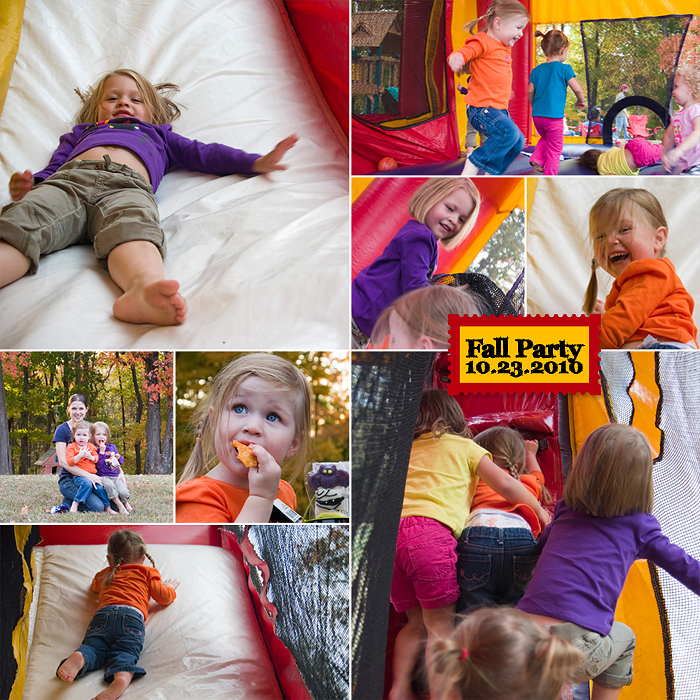 One of Big's friends from school had a party at her house complete with a bounce house, so how could we possibly say no?? Big did her 5 minutes of mandatory shyness & then jumped right in with complete gusto. And then Little, of course, did what ever her big sister did. This next week & weekend are full to the brim with festivities! Hope you're having as much fun as we are!! I may do a lot of things well, but. . . Guess who I finally met!